Apparently, I have a Bluetooth speaker fetish. Over the last several years I’ve accumulated: a Bose SoundLink Color, a Bose SoundLink Mini (1st gen), a Bose SoundLink III, and (most recently) an Amazon Tap. Oh, and an Amazon Echo too, if that counts. I also have a lot of opinions about how a speaker should sound, so let’s get started. 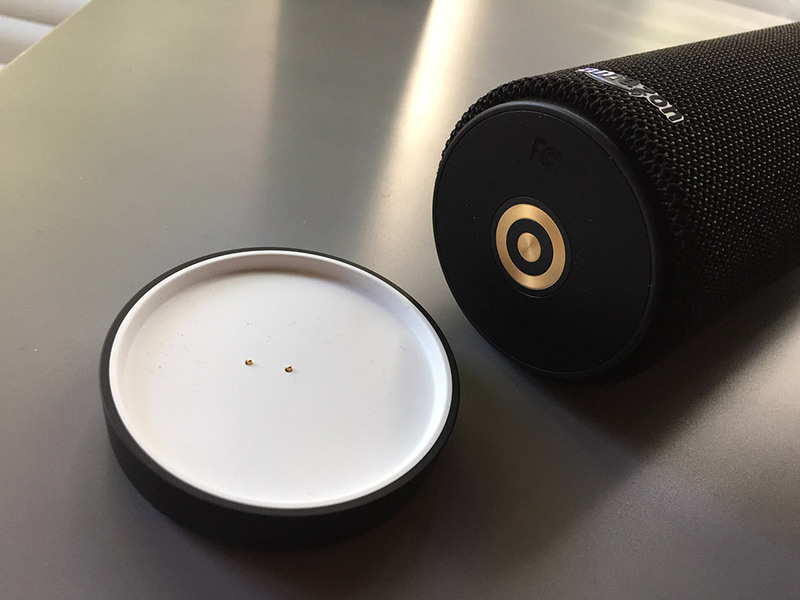 Launched March 2016, the Amazon Tap is Amazon’s first foray into the Bluetooth speaker market. The Bose Color is a couple years old now, but despite being Bose’s most inexpensive speaker it’s still out-performing significantly pricier speakers. Audio (bass, clarity, overall quality): Bose SoundLink Color, hands down. Bose Color has much richer bass and audio quality. It does one thing and it does it well. The Color can get very, very loud. I’ve never even pushed it up to its limits, that’s how loud it gets. I thought my eardrums might burst. Some reports measure it around 90 db without any sound distortion, which is probably louder than you’ll use it around your house unless you like to DJ for parties or use it outdoors. My family uses it outdoors near our pool (not close enough to get wet – it’s not water resistant) and it’s plenty loud, even without being at max volume. Bose = strongest, loudest, clearest, bass-iest audio. If there’s anywhere the Tap has the Bose Color beat on audio quality it’s the directional output. Color seems to output sound in a direct line from its front, and there’s a noticeable drop-off in quality and volume if you are to the left/right of the unit. The Tap outputs its audio in 360 degrees, so it doesn’t matter if you’re “behind” it or to the side of it – the sound is the same. The tradeoff, of course, is the quality of that sound. The Tap just isn’t as rich sounding, especially on bass-heavy songs. The Tap is smaller and lighter than the Bose Color (by about half a pound) and just seems to fit nicer in bags I’ve carried it around in. As another bonus, it projects its audio 360 degrees, so if you lay it down (like I’ve done inside my bicycle bag) you don’t have to worry about “facing” it a certain way to hear it. The Tap also has a nice charging base that the Color does not. To charge the Color, you just plug it in to a wall adapter, but that plug in / unplug step hinders its “grab it and go” portability just a teeny bit, and that little bit of friction doesn’t exist for the Tap (just lift it off the base). You can get a “sling” for your Amazon Tap, but it covers up the charging connection on the bottom (boo, hiss) but it does let you clip the Tap onto your bag (not that it won’t feel like a 1-pound brick swinging around…). The Bose has about 8 hours of battery life, the Tap about 10. The Tap gets an edge on all things battery-related thanks to its convenient base. Just rest the Tap on top of the base (orientation doesn’t even matter!) and it’ll charge. You can use it while it charges. (You can use the Color while it charges, too). To charge the Color, you have to find the other end of its micro USB cable and plug it into the speaker hardware. Not a huge hardship, but I’ve rooted around under my desk enough times for the fallen end of the Color’s cable to take note of this convenience. Closeup of the Tap’s base and charging cradle. You can usually find either of them for about $129. I’ve had far fewer long waits / unexplained failures to pair with my Amazon Tap than I have with any of my Bose speakers. I regularly switch up which device is paired with my speakers (an iPhone, an Android phone, and a MacBook Pro laptop) and I just seem to go through more connection failures with the Bose speakers than I have so far with the Tap. It’s also worth pointing out that the Tap has WiFi capabilities as well and can directly stream music over services like Prime Music, Spotify, Pandora, TuneIn, and iHeartRadio via WiFi, but the Bose Color only receives your music over Bluetooth (not that you can’t stream those services over Bluetooth via your Bluetooth enabled device, it’s just another step to be aware of). Bose Color comes in a bunch of colors, many of which are pretty fun. The plastic case doesn’t feel overly rugged, but given that it’s a $129 speaker you are probably going to want to at least try to put it somewhere safe. The top of the Color speaker features an array of control buttons embedded in a single rubbery control panel. The inclusion of physical buttons is a nice addition, allowing for easy on-device control of the song selection and volume. The Tap only comes in black, but it’s very nice looking up close (the speaker fabric in particular has a good texture to it). Like the Color, the Tap has a nice rubbery top with an array of control buttons with the same buttons for volume and song selection. Both speakers have the same drawback: they can both be tipped over with relative ease. Neither is particularly squat or bottom-heavy, so if you have small children or cats (or are just prone to flailing about), you’ll need to watch out for tipping. I’ve tipped both my Color and my Tap over flat on their sides, though, and no harm has come of it. … for the bestest audio you can get, go with the Bose Color. It’s a great speaker and you’ll get years out of it. … for streaming over WiFi and giving voice commands to Alexa (and you’re okay with the tradeoff on audio quality) go with the Tap. Wait, what’s your price range? If you’ve got a bit more than $129 burning a hole in your pocket, and you want rich, high quality audio (and booming bass) delivered to your ears via Bluetooth then you can go straight to the higher end of the Bose SoundLink series of speakers. Yes, you will pay more than you would for a Tap or a Color, but the price difference is worth it. There is a noticeable step up from the SoundLink Color to the SoundLink Mini to the SoundLink III. Get the one at the top of your price range – you won’t regret it. The SoundLink line is sturdy, loud, and the rechargeable batteries last a long time on a single charge. These speakers that shouldn’t get left behind (technologically speaking) for several years to come. When Bose refreshed their product line and updated the Mini from the 1st gen to the 2nd gen, they barely changed a thing. The SoundLink Mini is great for placing on your desk or in your kitchen as you work and for $100 more, the SoundLink III can fill the room with crisp audio and make you think you’re listening to a 3-speaker setup, complete with subwoofer. (And if you can tolerate the NFL branding, you can sometimes find the NFL-themed SoundLink III for just a few more dollars than the price of a Mini… depending on the season and how the teams are doing). I use my SoundLink Mini primarily as a TV sound bar these days, and it’s indistinguishable from more expensive sound bars I considered. 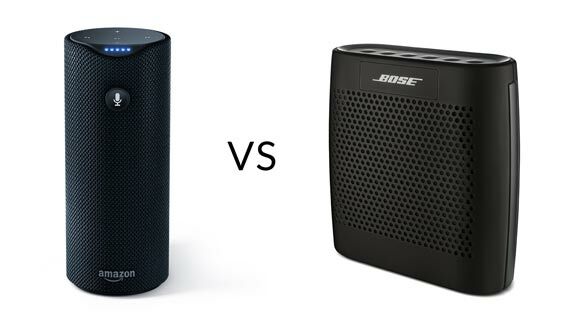 Heck, the SoundLink Mini is even just as portable, if not moreso, than the Tap or the Color. Of the four Bluetooth speakers in my rotation, the SoundLink III and the SoundLink Mini are still the two dedicated speakers getting the most use in my home.